Everitt Kitchen Saver proudly uses Cambria and Countertops Unlimited II. Countertops Unlimited II uses Caesarstone, Zodiac Dupont and HanStone quartz. 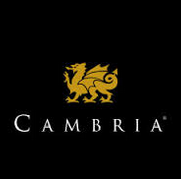 **Although we recommend Cambria or Countertops Unlimited II, If you have another type of countertop you prefer, you are not limited to these products.